Looking for mortgage advice? We'd be thrilled to answer your questions about our mortgage offerings! Give us a call today at (415) 244-9383. Want to get started? Apply Now. Ever heard the old rule of thumb that states you should only consider refinancing if your new interest rate is at least two points below your current one? That could have been true years ago, but as refinancing has been costing less recently, it's never the wrong time to explore the options of a new loan! Refinancing has a variety of advantages that can make it worth the initial expenditure a few times over. 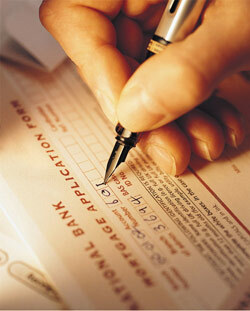 When you refinance, you might have the ability to lower your interest rate and monthly payment , perhaps considerably. You might also be able to "cash out" some of your home equity, that you will be able use to consolidate debts, add on to your home, or take a vacation. You may be able to refinance to a shorter-term mortgage, enabling you to add to your home equity quicker. All these advantages do come with some expense, though. You will have the same sort of fees as you did with your current home loan. Among these can be settlement costs, an appraisal, lender's title insurance, underwriting expenses, and so on. You might think about paying points to get a lower interest rate. The money you will save over the life of the mortgage loan could be significant if you've paid up front about 3% of the new loan balance. You might have heard that these points can be tax deductible, but because tax regulations can be difficult to keep up with, we urge you to consult a tax professional before depending on this. An additional expense that borrowers may take into account is that a lower interest rate will lower the interest amount you will be able to deduct on your federal income taxes. Call us at (415) 244-9383 to help you do the math. Most borrowers find that the savings each month quickly outweigh the initial cost of a refinance. We can help you find out your options, considering the effect a refinance might have on your taxes, how likely you may be to sell in the next couple of years, and your money on hand. Call us at (415) 244-9383 to get started. Want to know more about refinancing your home? Give us a call at (415) 244-9383.